A broken toilet can certainly put a stop to your day. When jiggling the handle isn’t enough, or there is a leak that just won’t go away, call the professionals at T.Webber. Our team of licensed and insured plumbers is available all day, every day to solve your toilet troubles with speed, efficiency and care. 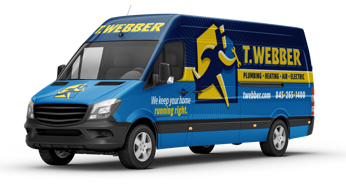 Every T.Webber service call begins with a thorough diagnosis of your home’s plumbing system to pinpoint the exact cause of your issue. Once identified, our Plumbing & Drains Expert will walk you through the diagnosis and present multiple solutions. With your approval, your toilet can be repaired or replaced that same day. If you choose to replace your toilet, or are looking to install a new toilet in a renovated bathroom, T.Webber can work with you to find the perfect toilet for your home. While our trucks are stocked with standard toilet colors, we can also assist you in ordering custom colors or designs to match your aesthetic. Homeowners also have the choice of standard or ADA-compliant comfort height toilets and round or elongated toilet bowls. 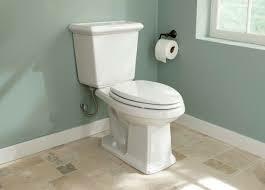 From small toilet repairs to complete toilet installation call T.Webber – the toilet experts. Our staff is available all day, every day for your convenience.